After choosing all of the lovely details of your day, you might be feeling planning burnout. So to help you make one step of the wedding planning process easy-peasy, we've created a super simple wedding reception timeline for you to follow for your big day. Check out our handy list of events and timing for your wedding reception to use as a guide for your own soirée! 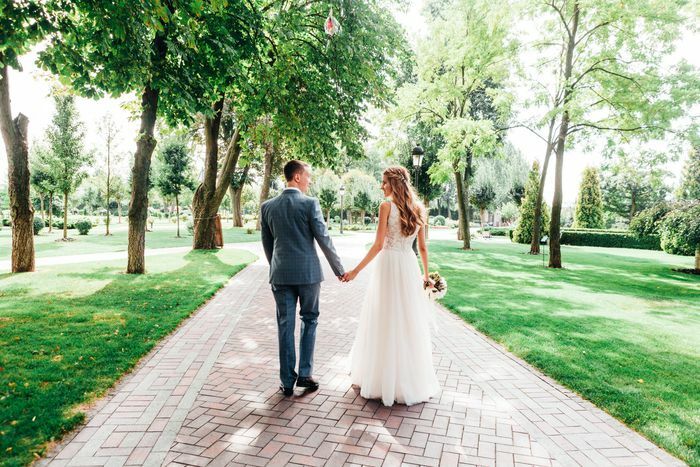 We've included all the events that typically happen at wedding receptions, and this simple five-hour timeline can be customized for any style of reception, whether you're hosting a seated dinner, a buffet-style meal or a wedding brunch. Feel free to remove any of the sections that are not applicable to your event. This timeline is for a five-hour wedding reception with a cocktail hour and seated dinner. 00:00 - Cocktail Hour Begins If you didn't do a first look before your ceremony, odds are you may be taking photos during the cocktail hour. It's a good way to occupy your guests while you take photos. If you got everything out of the way ahead of time you can use the cocktail hour to mingle with your guests, or just enjoy a little alone time as husband and wife. Most couples use this time to take formal photographs with family and bridal party. 01:00 - Seating and Bridal Party Announcements After the cocktail hour is over, your planner or coordinator should make an announcement that dinner is starting. Sometimes the cocktail staff will spread the word subtly through the crowd for your guests to make their way to their seats for dinner. After your guests have taken their seats, you will have your band leader or emcee / DJ announce the bridal party, and then the happy couple! 01:15 - Welcome Typically the bride's father welcomes everyone to the wedding reception and thanks them for coming. Some couples choose to do toasts here but most wait until later at the wedding reception. If you wish, you can also use this time to say a blessing over the meal. 01:20 - Dinner is served Your guests will either head to the buffet in an orderly fashion or your caterer's wait staff will begin serving the meal to each of your tables. Some newlyweds decide to use this time to wander around and mingle with their guests if they haven't gotten a chance to greet them yet. 01:45 - Toasts The Best Man's toast is typically first, followed by the Maid of Honor if she is making a toast. If other family members or members of the bridal party are making toasts, they can also do so during this time. 02:30 - Traditional Wedding Dances The band leader or DJ will announce the couple so they know when to head to the dance floor. They can dance the entire song by themselves, or have the DJ invite the rest of the bridal party up for the second half of the song. 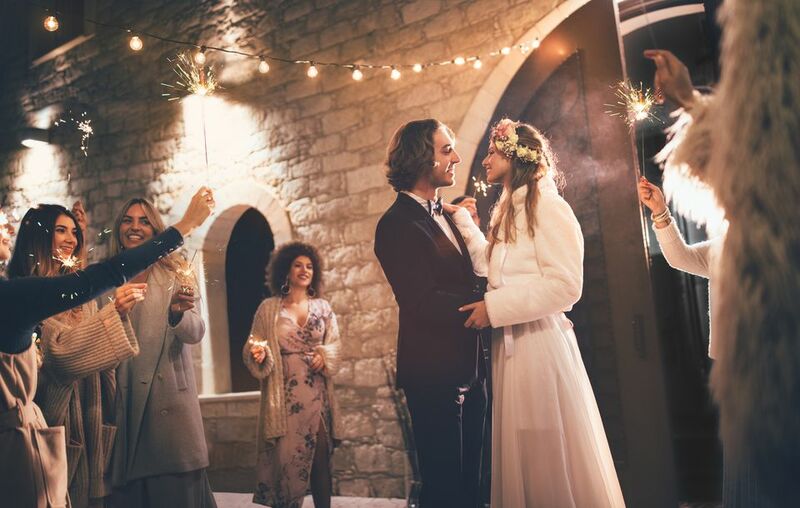 The ​first dance can be immediately followed by the Father/Daughter dance and the Mother/Son dance, or you can push them further into the evening if you prefer. 02:45 - Time to Dance! After the traditional wedding dances are over, it's time to invite the rest of your guests out onto the dance floor to party! 03:15 - Cake Cutting The emcee will announce the cake cutting which always makes for a fun photo opp! After the ceremonial cutting, the cake can be served to your guests with coffee and/or champagne. 03:30 - Bride and Groom Say Thanks Although not required, it is very nice for the couple to stand up and say a formal thank you to everyone for attending and to anyone specific who helped make their special day happen. 03:45 - The Party Continues! Some older guests may be ready to leave shortly after the cake is served so be sure that you've had a chance to visit with them beforehand. 04:30 - Bouquet Toss and/or Garter Toss If you do both a Bouquet Toss and Garter Toss, typically the people who caught them dance together! 04:45 - Last Dance The DJ should invite everyone to the floor for one last dance together. Choose a fun and upbeat song so that everything ends on a high note. 04:55 - Farewell Have the DJ ask everyone to make their way to the exit so they can send you off in style! Consider having your guests wave ribbon wands, blow bubbles, or light sparklers to make your exit more magical.